Fuel related - So I chose "General" as the topic...hopefully that catches enough attention. I have a 1987 GT. It has seen very little time on the road, it has 983 miles on it. Went through the normal process of replacing the rubber parts, hoses, belts, plug wires, tires, and so on. Once I had rubber bits replaced, I went through the normal process involved in turning over the engine by hand with a little bit of a good llghtweight oil in each cylinder. I drained the old oil and changed the filter, added new oil in. Put new coil, plugs/wires and rotor also. I did an electrical check on it and eveyrthing was good, with the exception of the fuel pump. I dropped the tank, replaced the pump and sending unit, replaced the surger properly rated rubber hose and cleaned the tank up before putting it back in. It wasn't really bad, it had some very old fuel in it, but not any sediment to speak of. I also replaced the fuel filter while I was under the car. I added 5 gallons of gas (87 unleaded) and crossed my fingers and gave it a crank. It **almost** started after about 5 minutes (i primed the fuel pump with the normal 2 seconds on, 10 seconds off with the ignition). For the next couple of hours, I would try to start it on and off, and it would stumble and almost start, but then fail. I came back here, did some serious searching and manual reading of random posts, then decided I would test fule pressure at the fuel rail, with plans to test by crimping the fuel return to test the fuel pressure regulator if there was any issue at the rail. The pressure at the rail was 40 psi +or- 2-3. Bleed down would occur over about 1.5 minutes to about 8 psi, so no issue with the pump or the regulator...right? So, my last thought here is this - I need to either purchase new fuel injectors, or take out the old ones and have them refurbed...does this sound correct? Thanks in advance for any input, I really appreciate it! I read your post twice but I don't understand how you've come to say its fuel related. Will it run if spray starter fluid in it?? If not, then I'm not convinced yet its fuel. Based on the info provided, I don't think you can rule out spark issue or some other electric problem yet, even the ECU. No, it will not start when spraying starter fluid in it. I have tested spark, but I am color blind and I have seen several people say the spark should be a certain color, not sure what color mine is. Also, just as an FYI, the Check Engine light comes on, all normal lights come on, the tach shows RPM when cranking and the oil pressure registers when cranking. I actually replaced all fuses as well before taking off on any attempts to start. All of those are tested good. Is there a specific tool I can use to test spark that isn't dependent on me being able to see blue or some other color? About the ECU - Do you recommend any tests I can perform to check operation? I don't have a scan tool that works with this old of a vehicle, but I can buy one if that is the determinate way to test. Also, I assume ECU=ECM, is that correct? A 30 year old car with less than 1000 miles.......the mind runs wild with corrosion possibilities. If you cannot get it to run with starting fluid, it's not a fuel related problem. 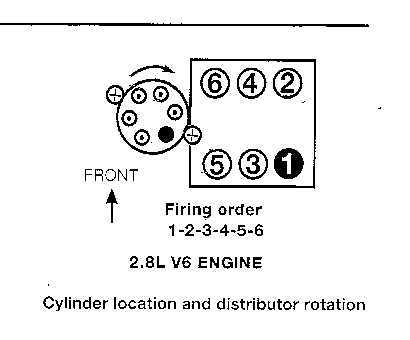 If the tach goes up when you crank the starter, it's not a primary ignition problem. This leaves the secondary ignition. Did you remove and replace the distributor? Is there a physical problem inside the cap? Examine the vacuum lines around the MAP sensor to see if one is split or not attached. edit: It is very likely that the injectors are stuck or clogged, but that would be a second thing wrong, not the first thing. HAHA! indeed! It was kept in a garage all that time, so it was relatively unscathed. It still smells like a new car in the cabin. I did not remove or replace the distributor, but did replace the cap and rotor. I did check the cap/rotor to make sure everything was properly aligned and not wobbing around in there, not issues there. All vacuum lines are good, checked them all out, no splits or breaks and all attached to proper inlet/outlets. I'm not proud! If that is what it is, I will kiss your @ss!!! I assume I can find the spark plug wire diagram in my Chilton or Haynes? Is there a specific tool I can use to test spark that isn't dependent on me being able to see blue or some other color? Use your ears then. A healthy spark will easily "snap" across a 1/4" gap to ground. You can hear it... as well as see it. I went to the garage and changed the ignition module, I was planning on doing that anyway, and figured I should go ahead and do it now to see if it did anything...zero help. I also exchanged the coil I had replaced with a new one and that didi't help either. I did use the paperclip to the terminals on the ECM interface. It only did a 1-2, or code 12. Nothing else. It still does the same thing, acts like it might start, rumbles a bit and dies. I also double checked the rotor and distro cap while I was at it, nothing wrong with them that I could see. This is getting interesting. Tomorrow I will go over the vacuum lines again to make sure everything is good, but I have done this twice now, so I am not too hopeful that I will find much there. I also pulled and reseated the main wiring harness interface, no improvement or change after doing that. Double checked the plug wires - a perfect match to this picture. 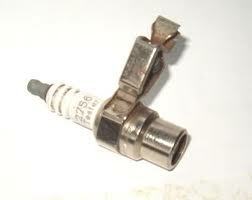 Pull out some of your spark plugs and see if they are wet. You mentioned you put oil in the cylinders. You also could of flooded it with gas or starting fluid. If plugs are wet, dry them out or better yet replace them. I've had brand new plugs in one of my Pontiacs that I hadn't started for more than 8 years and they went bad. My coil was fine but the spark was yellow across the gap. While they are out pull the ECM & fuel pump fuses. Hold accelerator to floor and crank engine so fresh air will dry thing out in cylinders. Put sparks plugs back in, and the fuses you removed earlier. Turn key directly to start. Do not stop at run and do not collect $200.00 lol. Just go directly to start. My reason for this is to prevent flooding in the event you have some injectors stuck open. Even if you do it should start if only briefly. Thanks Spoon. I put new plugs in it as part of the work I have been doing, but plugs are cheap, so I will grab a new set just as a way to be certain they are good. I know where the fuel pump fuse is, but where is the ECM fuse? Is it in the block under the driver's side dash? Nevermind...ECM fuse, first one top left of fuse block...not enough coffee yet! Even if Tach seems to work... Remove the tach filter on the engine when you have ignition problems. Iffy filter can kill the whole system and even wreck the coil, distributor parts and/or ICM. Test spark w/ a Spark Tester. Simple ones are based on a standard plug w/o ground arm to the tip and a clip to ground to engine. Others are adjustable you adjust a gap to give spark volts. Many have no clue how this works and over gap and burn the wire. Is why GM and other want even Dealer service shops to use like one above. Never allow a plug wire to run w/o a plug in/on the engine or that tool above. "Testing" from wire tip to ground can burn the wire anywhere easy ground a spark. You many see the spark or not but damage is done and wire is toast. Worse the "short" spark can be inside the coil or dist and fry them. Good stuff! Thanks for the link! I have a tester and will give it a go this afternoon after work. I have the one with the adjustable gap. I thought about removing the tach filter lastnight, but it was getting dark, and my belly was complaining about needing some grub. I will reply back after tonights testing. Well, here is the story. I picked up some new plugs, gapped them and set them aside. I pulled the front plugs and they were all black and had a little fuel on them, but not a whole bunch. I pulled the back plugs and ran cranked the engine for a bit with the fuel pump and ECM fuses out. Let it air out for a bit with a big shop fan blowing across it. I double checked my gaps and installed the new plugs. I got out the trusty spark tester and started with the coil, it was fine. Tested wires and new plugs, all tested good, so I installed the new plugs and buttoned it all up. I disconnected the tach filter and gave it some cranks. It fired, but didn't run. I mucked around with it for about 2 hours checking all my vacuum hoses, wires/connectors and unplugged/plugged back in all the harness connections I could find. Tried it again and it did the same, fired, ran for 2-5 seconds and died. I plugged the tach filter back in and tested again, same result, so that doesn't seem to have had any effect on it. I noticed the fuel pump priming just fine, but after a couple of starts, it started making a higher pitched noise toward the end of the prime cycle. I won't have time to do anymore work on it until after the new year, but I plan to pull the fuel tank again and check it out good and make sure something isn't plugging the fuel pump up. I also am going to replace the fuel lines and pull the injectors and either have them rebuilt or buy some new ones. I wiil come back after I have done all that and update this thread. Thanks to everyone for the help and advice, I really appreciate it! Even before I read this last post, my gut said your problem was fuel related. If the pump sounds like it is priming, perhaps you are losing fuel pressure somewhere along the way. You might want to hook a fuel pressure gauge up to the Schrader valve and see if it is holding good fuel pressure before you go to the trouble of dropping the tank again. P.S. If you plan to make this car into a driver and not just sit in the garage . . . prepare for much more work ahead. Mine had 9k miles, and I mistakenly thought I was buying a 32 year old "new" car. It has taken a lot of work and $ to get it back to "new." If I was leaving it in the garage, it would have been fine. But, I wanted to drive it occasionally on the weekends during the summer. Thanks for chiming in! Yep, I have tested my fuel pressure, it hits between 40-44 PSI and holds until I hit the relief valve on the pressure gauge. First I thought it was bleeding down after about a minute or two, but realized I didn't have the hose attached tightly at the gauge. I left it for about 5 minutes and it only dropped about 3-5 PSI. I know all about being beat to death by old cars! I have several currently, but this is my first "modern" one, as in, it has fuel injection and what passes as a "computer". I am trying to figure out the fuel and air on it. Once I do some more reading over the holidays, I should have it figured out. My last restore was a 1962 Ford Falcon. It is still reaching into my wallet on a regular basis! HAHA! I tend to restore cars to original and drive them as much as possible. I need to sell a couple of my current stable so I can drive the ones I really like more. I got the car bug about 40 years ago because my dad had it and passed it on. I give him a hard time about it all the time, he says it is better to spend your money on cars instead of booze and women...most of the time. ...he says it is better to spend your money on cars instead of booze and women...most of the time. Yea, which is more fun depends on my mood. I often take a break from one and concentrate on the others. Then, get an itch and go back, LOL. Thanks for sharing your experience here. I suspect your issue will be something minor. If you're seeing good fuel pressure, and it holds, I would be hesitant to drop that tank again until I had exhausted all other possibilities. By the way, they'll be a ton for you to do . . . but change or top off your trans fluid, then look to see if your axle seals are holding. My car didn't lose a drop when I bought it. Then, I changed the trans oil and ended up with two large puddles. At first, I thought the old myth about using synthetic oil on an old car was true -- causes leaks. But, in retrospect, I think the axle seals had already leaked oil down to the level of the axles. So, when I changed and topped off, they immediately began leaking it out again. Even after the seals were replaced, one seal leaked again because of corrosion pitting on the axle. Ended up with one new axle to finally get the issue resolved. Keep us updated to let us know what was preventing it from starting/running. Also, give us some history and details of the car. Color, auto/manual, why in garage for 30 years, etc. thanks. Pictures? Pictures - I had posted a few back when I first joined the forum, but I can't seem to find the post...I will see what I can do about that! History - A Friend of mine (I work with him) told me about it...his father-in-law bought it back in late 1987. He drove it from Ohio to NY, came home and parked it with grand plans, then had a stroke. He was in rehab for about 6 months, then was confined to a wheel chair. He had a family member who would start it once a month and back it out of the garage and let it run for a bit, run it through the gears (it's an automatic), then put it back and do it all over again the next month. This went on for 10 years. He kind of lost interest in it and quit having them start it. He did have them drain (mostly) the gas from it, remove the battery and fog the engine. It sat from 1997 until this year without being started or really much done to it. The fater-in-law and his wife decided to move to Florida, and he wanted to get rid of the car. My buddy knew I was a sucker, er, I mean, a car guy, and told me about it. I told my buddy that I wasn't going to be able to do $6000, as it was going to need quite a bit of work, so we settled on $4500. Then I had to get it shipped to Florida from Ohio, that was another $900.00. I have a small garage here in Florida, the rest of my cars are in Texas, I split my time between the two places. So far, the parts have been lower than I expected. Fierostore has been a great resource, not that I have spent a mint there, but they seem to have the stuff you need for one of these babies! So far, I can't say I have spent a lot of time on it, I work on it after work for 2-3 hours and on weekends for 6-8 hours when I am in Florida. I have replaced a lot of the replaceable items, all of the hoses, tires, belts and most of the ignition system. I am waiting on new MAP and a couple of other parts. I will probably go ahead and buy new injectors, as I have had varied success with fuel system rebuilt items. I will post a google photos link, or onedrive link with photos shortly. Here's the thread with pictures, I am bored at work Great looking car. Is there a fuse for the IAC (Idle Air Control solenoid)? I can't seem to find any info on it. Or does it use a fusable link? No. IAC etc go to ECM that has several fuses/links. ECM can die yet still seems to work. Why you often need a Noid light and other tools to check ECM functions. Example: Noid light tells when ECM turns on injection by grounding the circuit. Because Injection driver(s) in the ECM can die and never set a code. When I had a v6, it was 10 years between running and rebuilding. Mine did the same thing, ran a bit then died. Everything was new except the injectors. I was really hoping it was something else but when I finally decided to check them, only one was working. I bought some brand new Accel injectors from Summit Racing and problem solved. Replace the injectors and enjoy your new car. The reason it fires then dies is the cold start injector is working, but the rest are clogged. It gives it just enough fuel to light off, but isn't designed to keep it running. I would wager that I have rehabbed more "new" Fieros (even a few 4th Gen F-bodies) than just about anyone here and every one that wouldn't start needed new injectors. Only one needed a fuel pump and that was a '97 Firebird....all the Fieros were fixed with new injectors. By "new" I mean less than 1000 miles.....like your car. I haven't bought any injectors in awhile, but the last set I bought was about $60....they were "rebuilt" ones from someone on eBay. ECM runs FP relay and turns on to "prime" and run the engine. ECM will shut off FP if you don't start the engine. Will turn on again when you start the engine. OP FP switch is a backup to FP relay. Long start times can be engine wait for OP switch to close. Note: Start injector only works when starter is running and injector switch is < 95°F (35°C) w/ max On time 8 sec at −20°C (−5°F) coolant temp. This is funny, but not funny! I actually had to power wash out the Frunk (Front Trunk) to get rid of a bunch of mouse pee and pulled out about 2 lbs of mouse nests! Anyway - Yes, checked the exhaust for mouse houses, none there. I used an inspection camera I have ( I use it for PPI on old cars I buy, pull plugs, check for scoring on cylinder walls, etc.) and it was clean as a whistle. I have good oil and fuel pressure. I checked both of those before I really tried to start the car. Fuel pressure is 40 (+or- a few PSI) at the rail, maintains for quite a long time after turning off key. Oil pressure is about 60 when cranking. Obviously I don't know what it is when running, but generally speaking, I believe it is supposed to be around 30 to 40 psi +or-. Exactly my next step. I have mainly worked with older (than this!) engines, the only other fuel injected car I have worked on is a 2009 BMW 335i, and those fuel injectors are quite a bit different than these! And total crap for dependability! I have replaced them twice in 2 years. There is a newer revision that I am going to put in next time I have to replace them...but I digress. The IAC and the Injectors are going to be replaced next week, as well as the EGR setup. I have searched the forums here, as well as a lot of other via Google and it seems that all of that stuff really is the weak spot for these cars, so if they are all new, less chance of a big issue while driving down the road! I am waiting to see what the schedule for next years Radwood car shows will be, I would like to go to a couple of them with this sweet little car once it is running and cleaned up nice. If you haven't seen or hear of the Radwood shows, you can see what they are all about on their website https://www.radwood.co/. So, this gives me plenty of time to get it rolling like a new car I believe. I really appreciate all the advice I am getting here, you guys are awesome helpful! I guess I should list what I have done so far so it is easier to maybe eliminate any issues. 6. Checked all vacuum lines (multiple times!) for cracks and viability. All of them are good. The car was stored in a climate controlled garage for it's whole life, so no crispy lines! 8. Replaced the air temp sensor at the air filter chamber. It was pretty crusty. 9. Replaced plugs (twice! ), plug wires, rotor, dist cap and coil. 12. Changed oil and filter twice, once prior to initial turn over, again after trying to start it a few times. 15. I had the brake pads, rotors, hoses and calipers replaced before shipping it from the seller. The back ones were locked up, so it had to be done! Also replaced the brake fluid at the same time. I purchased a fuel rail and injectors (USED) off of eBay. The injectors of course, need to be refurbed. I purchased a set of refurb kits from eBay as well. One thing I am curious about is - Do these injectors have the small filter baskets in the tops of them? I can't really tell...maybe I should put on my glasses and look again! I may come back and edit this to add to the list...not sure I have it all listed here. If anyone has any recommendations on other peices/parts that should be changed prior to running it any significant amount, feel free to chime in! EDIT - 12/24/2018 - To answer my own question about the small filter basket in the top (fuel rail side) of the injectors - YES, they do have them. I am spending X-Mas Eve playing with ancillary parts of the car, getting them ready for when I am back in FL. I bought my fuel rail and injectors off of ebay, as above, and am refurbing the injectors. I bought the kits with the pintel caps, o-rings and filter baskets off of ebay as well. We will see what quality they are when the arrive on Thursday. I bought a kit to flush the injectors and it worked very well. I got the flows all looking really good after 2 flushes of about 20ml each of carb/throttle body cleaner, then ran a tiny bit of gun oil through them to protect them between now and when I can get them installed. I managed to get the rebuilt fuel injectors installed yesterday. All went well, no leaks or issues. The car still won't start. Just to run it down, here is some info. I have checked for error conditions, I only get the 12 when jumpering the ports on the interface in the console. I have replaced the coil, dist cap, rotor, plugs (twice) and wires, and the ICM. The car will act like it wants to start only when I hold the gas peddle down prior to turing on the ignition and then cranking it, and occasionally wihout doing this, but not very often. I have a new EGR but haven't put it on yet. I mucked around with turning the distributor a bit to see if it was a timing issue, but nothing really changed when I did this. I have 40 to 47 psi at the fuel rail, and have replaced the fuel filter...twice. Any suggestions? I am pretty much at a loss as to what else to do. Have you tried starting it in diagnostic mode? Have you checked the timing? Have you done a compression check? I have not tried starting in "Diagnostic Mode", I don't know what this means. Plugs are slightly wet, and I haven't done a compression check recently. I did one back when I first got the car, it was inline with factory spec, the car has less than 1000 miles on it. I purchased a Noid light, it has several test lights for it. What other tools might I need to test the ECM? I forgot to mention...I removed the IAC out of pure desperation and cleaned it up. It didn't dawn on me at the time, but the pintle woldn't move. I have heard this indicates that the IAC is bad, can anyone confirm this?